When the sun rises late and sets early, leaving us with brief days and long, chilly nights, it is known as “De Donkere Dagen voor Kerst.” (“The Dark Days before Christmas”). But what to do in those “Dark Days”? 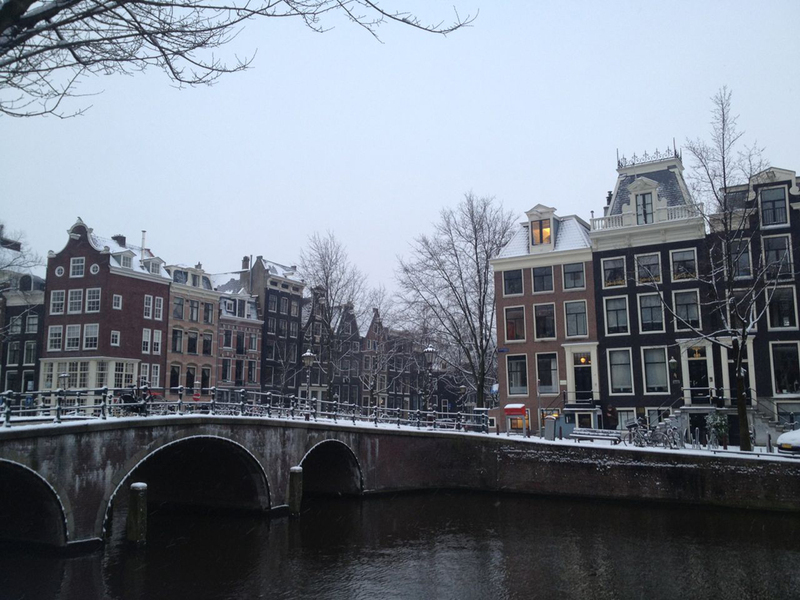 Well, here are my ideas of things to do, to get you through the “Dark Days” of winter in Amsterdam. This is a phrase regularly used in The Netherlands for a period of the year that can seem quite dark and gloomy. When I first moved to Northern Europe from Australia many years ago, it took all of my strength to get through De Donkere Dagen. From when the clocks go back at the end of October, until sometime in March I would find myself questioning why I had chosen to live in such a climate? And I would often wonder how I could escape this dark, seemingly morose time of year. But gradually I began to recognise the beauty in this sun deprived time of year, to appreciate the “gezelligheid” of cosy, warm, candle-lit bars and restaurants, of strolls along the canals with their twinkling reflections on the water’s surface. I even began to look forward to the first freeze! And as to an extended freeze – which can announce the onset of “schaatskoorts” – I now get almost as enthusiastic as a local! But that is no doubt a topic for another blog. So how do you survive The Dark Days? 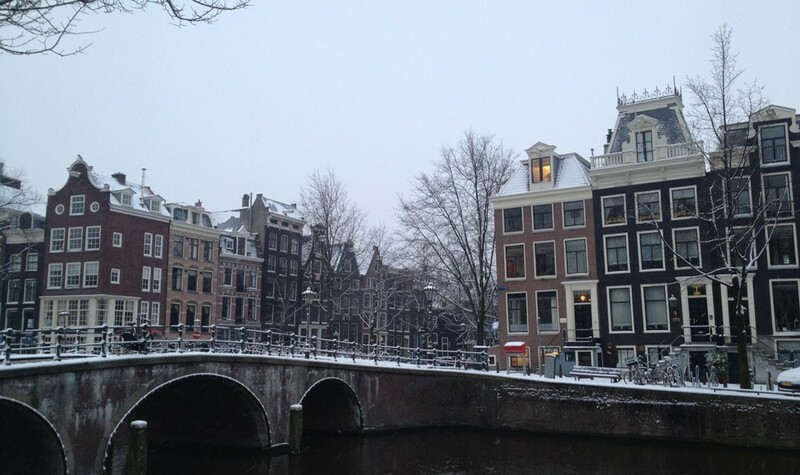 What is there to see and do in Amsterdam despite the lack of daylight? There are many ways to enjoy this city, even in the depths of winter. Here are five of my favourite things to see and do. 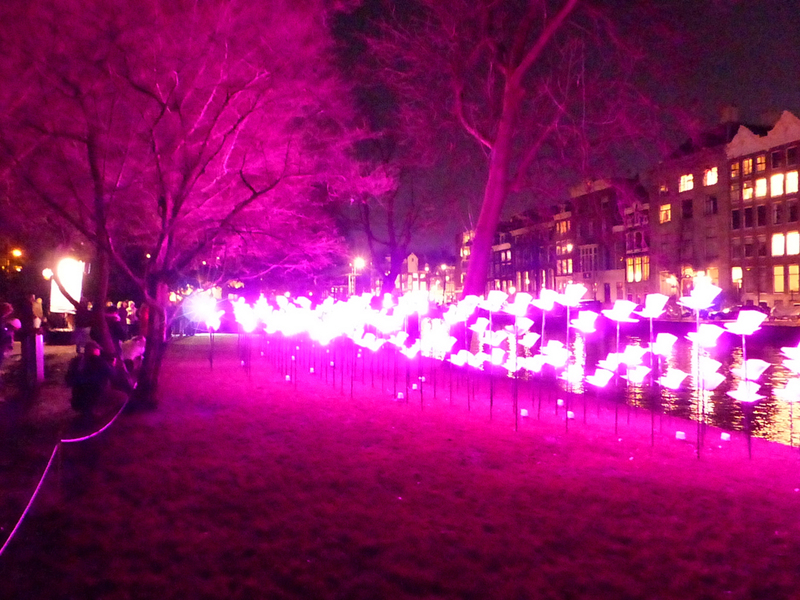 For the last few years, the Amsterdam Light Festival, has been illuminating the Dark Days with a spectacular open-air exhibition of light installations from international artists. 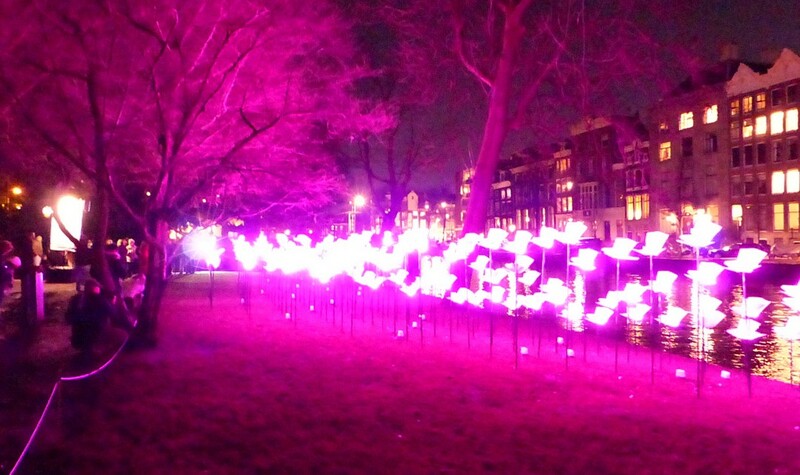 From the end of November until mid-January, the installations light up the city. You can enjoy the sparkling beauty from the comfort of a canal boat, take a guided walking tour, or you can pick up a map and explore the art installations by yourself. I love cycling and walking around the city, finding the installations, and in some cases interacting with the art. Stopping every now and then to refuel and warm up with a cup of hot chocolate or glühwein. There are many places along the route offering sustenance, including one of my favourite places, where you will find a number of installations – the Hortus Botanicus. Or support the local “korfbalvereniging” (sports club) next to the park on Plantage Parklaan and enjoy some snacks in their friendly clubroom. I have to admit I am a bit of a film-lover. 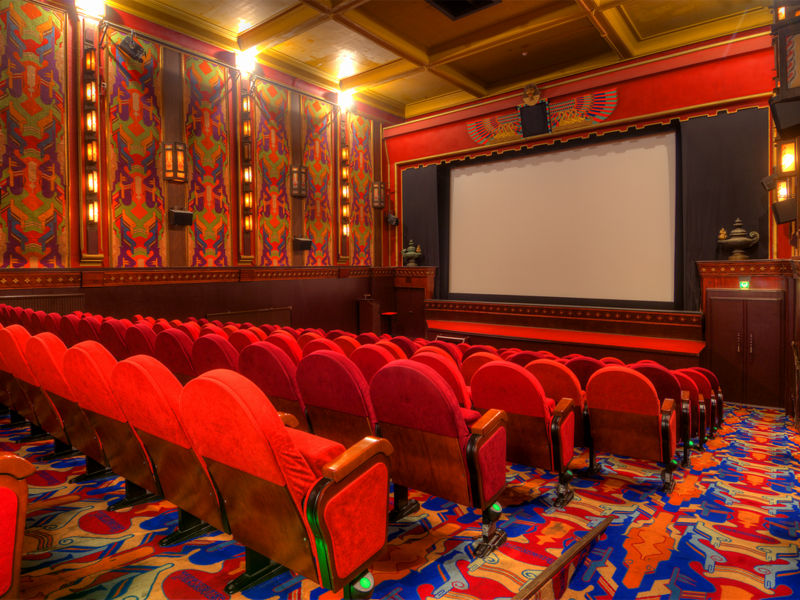 I can be regularly found in an art-house cinema thanks to Cineville – the incredibly good value for money “art-house cinema subscription” available in The Netherlands. One of my favourite cinemas is the charming art-deco cinema The Movies on the Haarlemmerdijk. 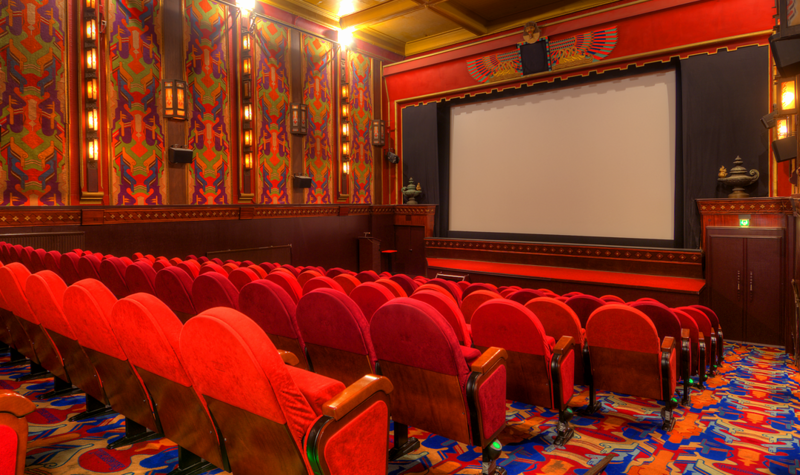 They show a variety of art-house and mainstream movies, in a beautifully restored building, that is fully updated with high quality audio and visual equipment. I love grabbing a pre-movie drink in their cosy bar (especially a craft beer from local brewery “Brouwerij ‘t IJ” that they serve) or if I have a bit more time, grabbing some dinner at their restaurant Tavenu and making a complete evening of it. Amsterdam is famous for its “bruine cafés” (brown bars) – cosy, traditional bars, generally furnished with lots of timber, woven “carpet-like” tablecloths, manned by friendly bartenders and serving anything from local beers, to Dutch jenevers and liqueurs or even cocktails. Traditionally they served as a “second living room” where locals came together after work. The bartenders were often locals too, reinforcing a feeling of community in neighbourhoods. Rumour has it that they got their name from not just the brown timber, but also the discolouring of the walls from cigarette smoke from the regulars. (Though this is no longer the case due to the smoking ban in public places.) 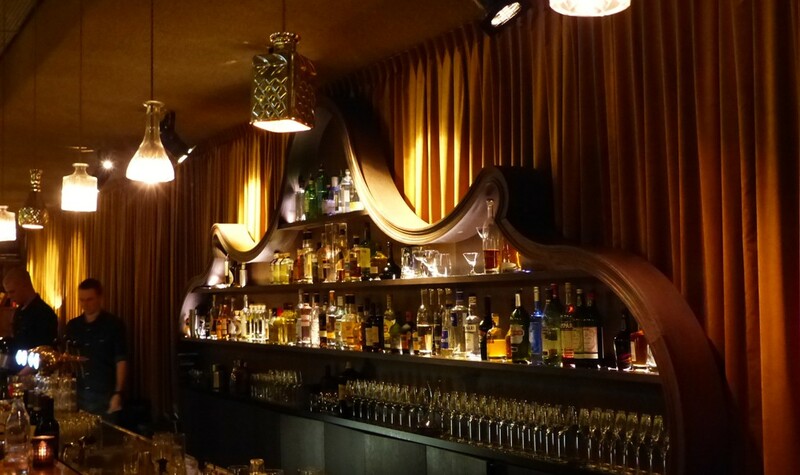 If you find a bar you love, and make it your “regular” it can become known as your “stamkroeg”. 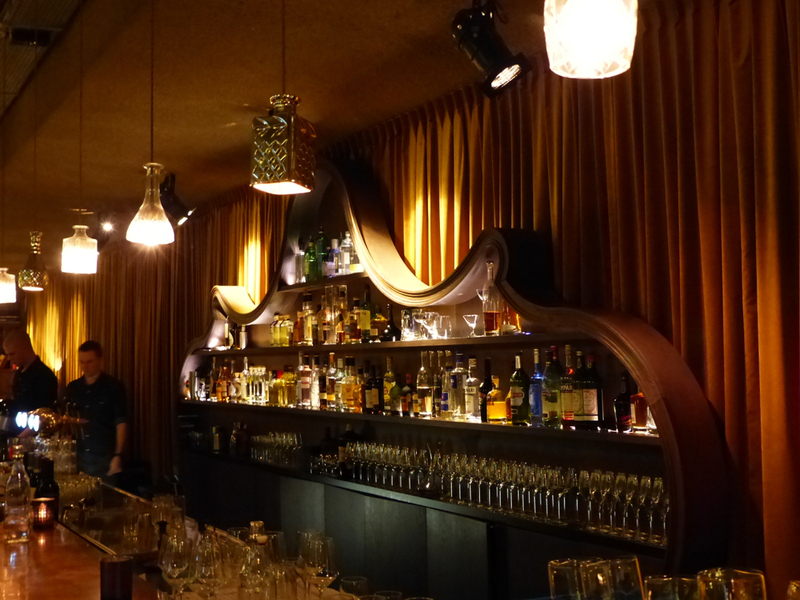 For an authentic and ancient bar, check out Café Hoppe on ‘t Spui. Dating from 1670, it is one of the oldest cafés in the city. 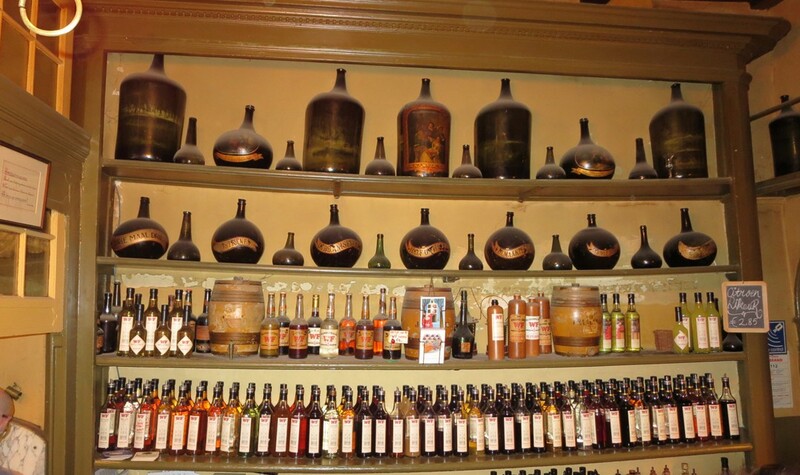 I love its authenticity and friendly bar personal and the fact that it seems to breathe history. It attracts a diverse range of drinkers, and offers a unique drinking environment. 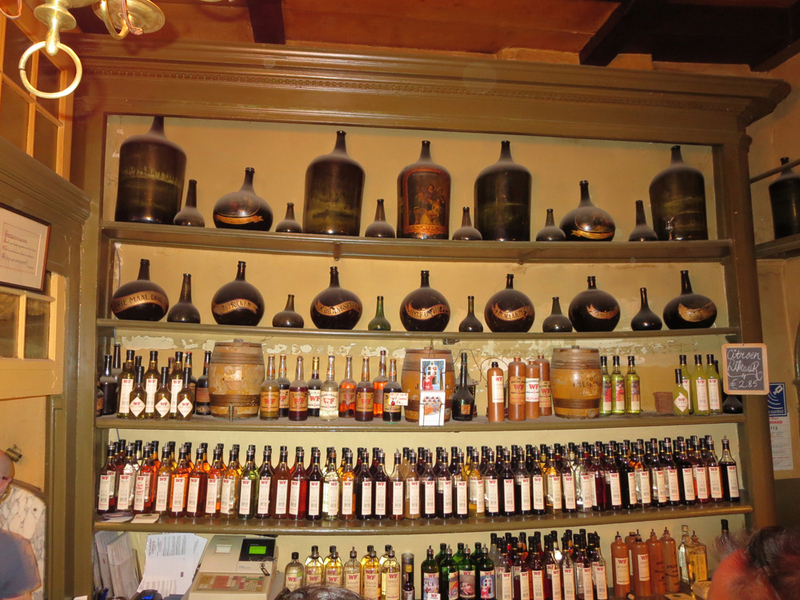 Not quite a “stamkroeg” but just off the Dam, there is a tiny, former distillery, Wynand Fockink (try saying that after a couple of their delightful, potent liqueurs) that is definitely worth checking out. The playful bar staff here make up special concoctions of combinations of jenevers and liqueurs with whimsical names like “Volmaakt Geluk” (Complete Happiness) or “Bruidstranen” (Bride’s Tears). Café ‘t Smalle is a wonderful café, a stone’s throw from Anne Frank House in the Jordaan where I love to have a beer and some bitterballen. Everyone knows that you burn more calories in cold weather, so surely it can’t hurt to enjoy some delicious cake and warming coffee? “De Taart van Mijn Tante” is a legendary cake café which serves a delicious assortment of seemingly sinful cakes in a colourful and camp setting. Their cakes are works of art and the interior always puts a smile on my face. One of my favourite healthy eating places is Lavinia Good Food on Kerkstraat. (They also run the café at one of my favourite photography museums, FOAM.) At Lavinia it is all about healthy, seasonal, locally sourced ingredients. I love that they focus on clientele that are conscious of choosing for a healthy lifestyle. To accommodate conscious guests, they are able to whip up some of the tastiest breakfasts, lunches and yes, cakes in Amsterdam. They serve up taste-bud-tantalising food in a cosy space. 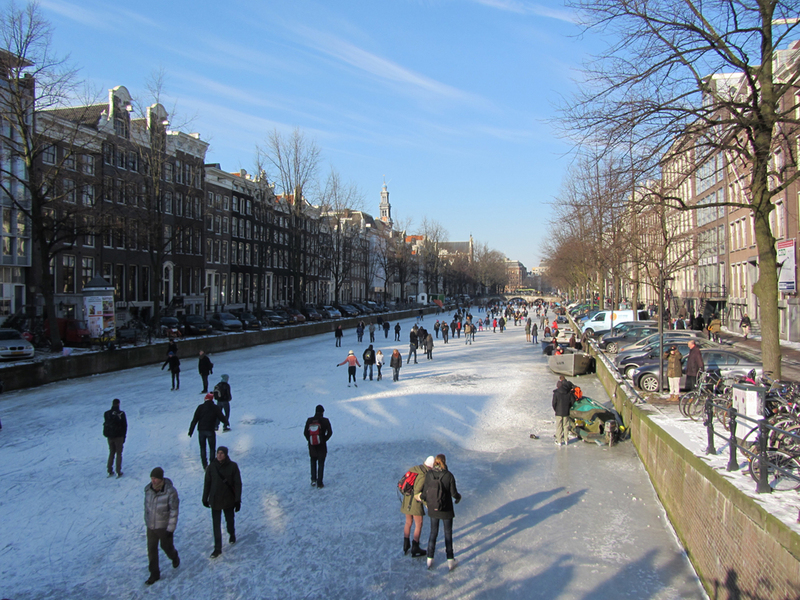 It doesn’t happen often, but when it does, it is one of the most beautiful, spectacular and magical sights in the world: Amsterdam’s canals frozen over with ice, so thick you can skate or walk on them. It has only happened once in all the years I have lived here, but it truly was magical. It takes an extended period of deep, hard frost for it to happen, but as soon as you see ice forming, you can feel the excited “what ifs” becoming the topic of conversation in the city. 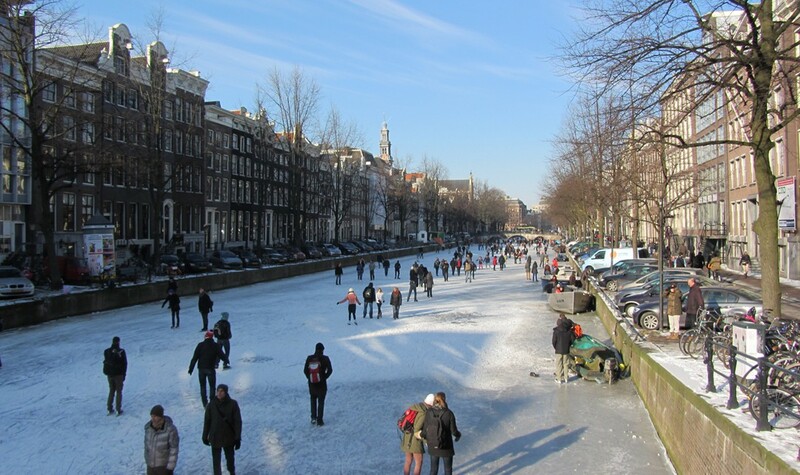 But even if the canals don’t freeze over, you can put on your skates and go ice skating on real ice in Amsterdam. Possibly as beautiful as frozen canals, is a good thick, dusting of snow. This happens more frequently than the canal freeze and turns this already “fairy tale like city” into a winter wonderland straight out of a children’s book. If you are lucky enough to be in town when there is a thick, white blanketing of snow, make sure you rug up well and go for a walk through the city. The way the snow absorbs the noises of the city, especially at night, creates a very special and dare I say it, even more romantic atmosphere. Whatever you do, don’t let the chills of winter keep you locked inside. It would be a crime not to get out there and enjoy this city and all it has to offer at this “gezellig” time of year.